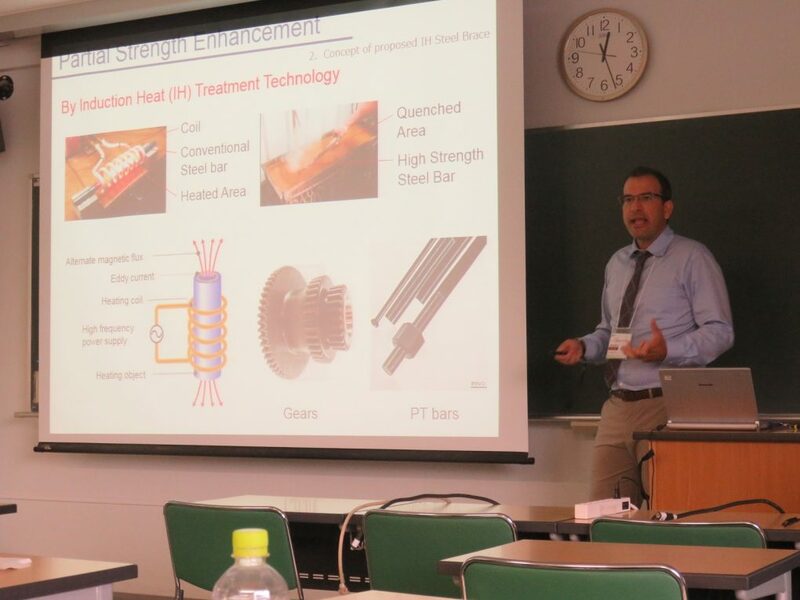 Prof. Kurata gave a keynote presentation at the 15th International Symposium of IMCA. He explained the design, fabrication, and research on the Japanese Steel Building using HSS columns. 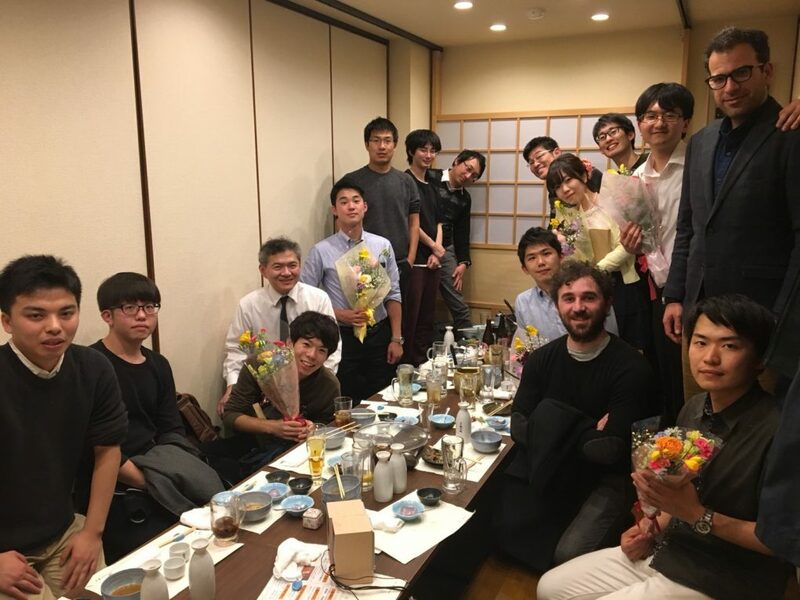 Mr. Giuseppe Marzano, the 3rd year doctoral student, of Ikeda-Kurata laboratory, received the best presentation award in the DPRI annual meeting. Congratulations on the successful presentation. 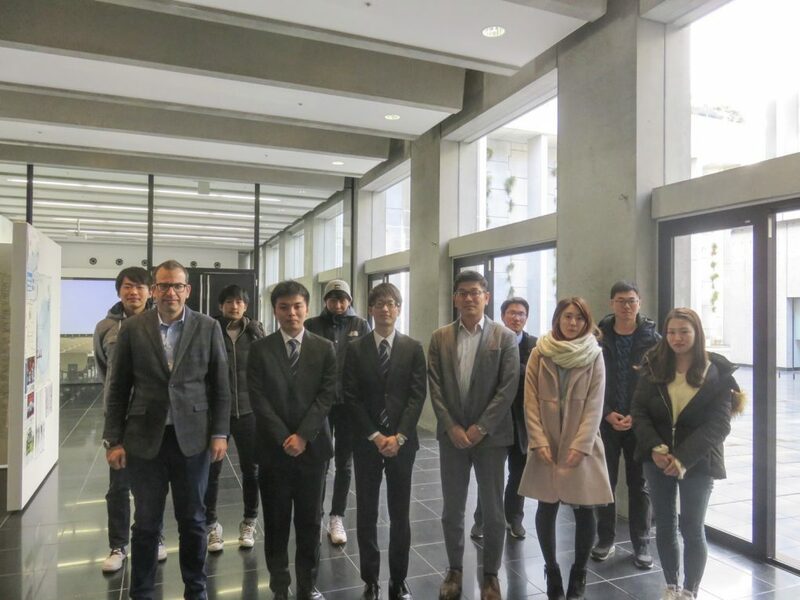 Ms. Kako Onishi, Mr. Keiichiro Kunitomo, and Ms. Mie Toki presented their Bachelor thesis in a poster presentation session held by the Department of Architecture and Architectural system. All of them received good evaluations by the professors in the department and DPRI. Congratulations for good presentations!! 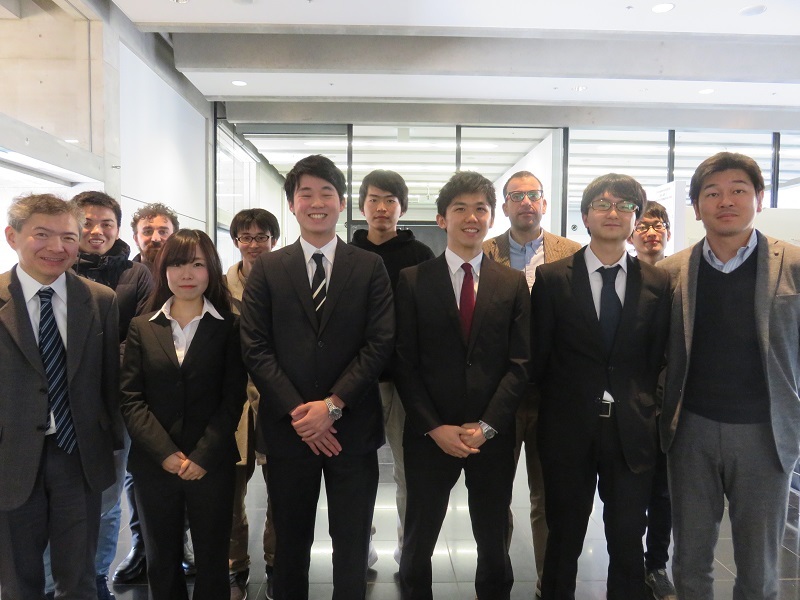 Mrs. Yuga Sasaki and Takuya Wada successfully defended their Master thesis. Congratulations!! Prof. Larry Fahnestock of UIUC, Prof. James Ricles of Lehigh University, Prof. Richard Sause of Lehigh University, Prof. Barbara Simpson of Oregon State University, Prof. Taichiro Okazaki of Hokkaido University, and Dr. Yosuke Kawamata of NEID visited our laboratory and Prof. Simpson gave us a talk on innovative spine brace design. We also had a social gathering to deepen our collaboration. 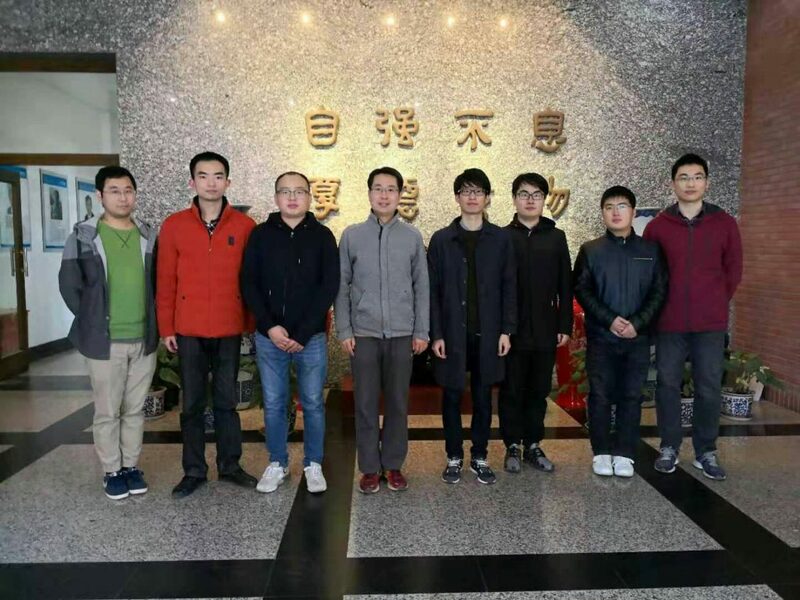 Dr. Kailai Deng, a JSPS postdoctral research fellow, is appointed as an Associate Professor of South-West Jiaotong University and left our laboratory. All the staff of the Ikeda-Kurata laboratory wishes the further success of Dr. Deng. 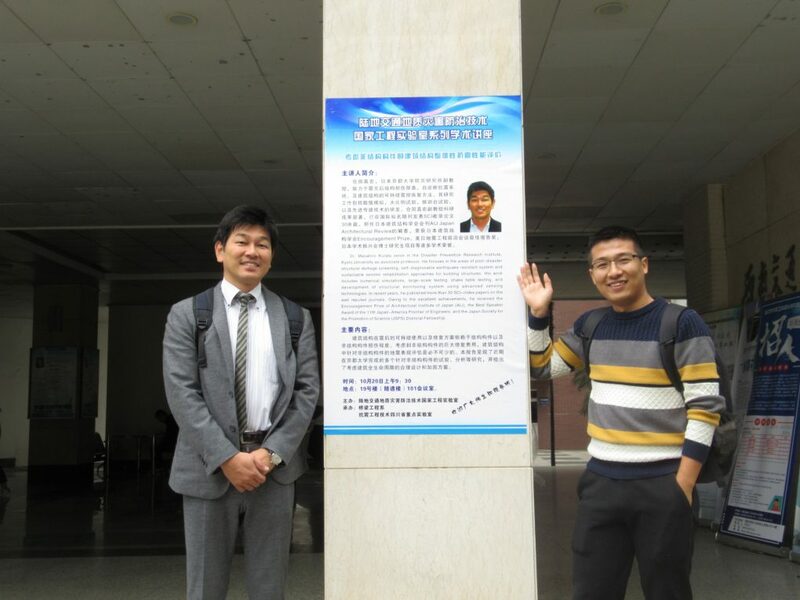 Mr. Takuya Wada of 2nd year Master stayed in Prof. Ji Xiaodong’s research group of Civil Engineering, Tsinghua University for three weeks. 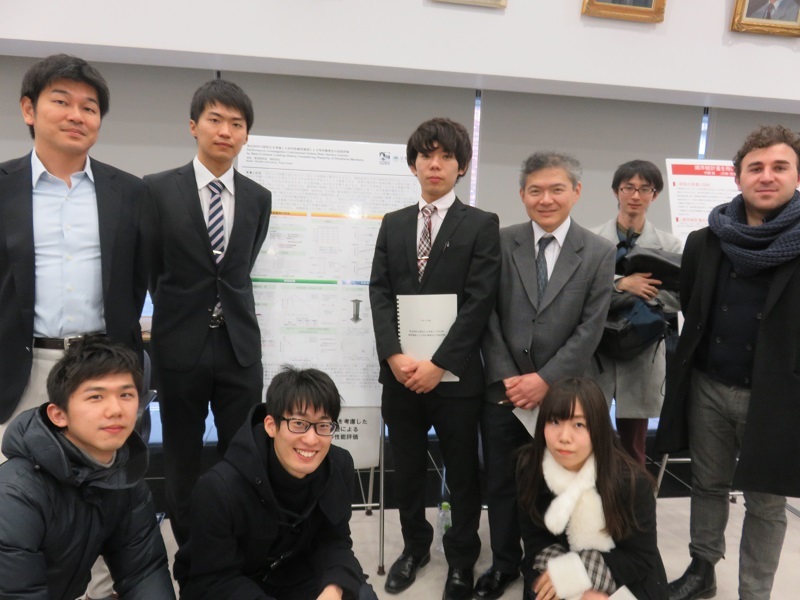 He recieved research supervision of Prof. Ji and exchanged idea and culture with the students of the group. 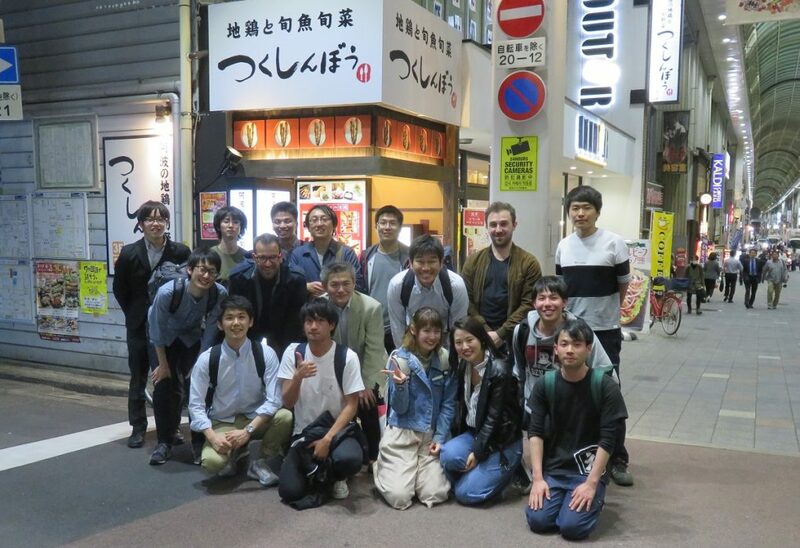 11 members of our laboratory presented at the 2018 AIJ annual conference held at Tohoku University. We are grateful to announce that Yu Otsuki (D1), Yuga Sasaki (M2) and Hironari Shimada (Graduated in 2019. 3) received the Best Presenter Award in the Kinki Branch meeting of the Architectural Institute of Japan . 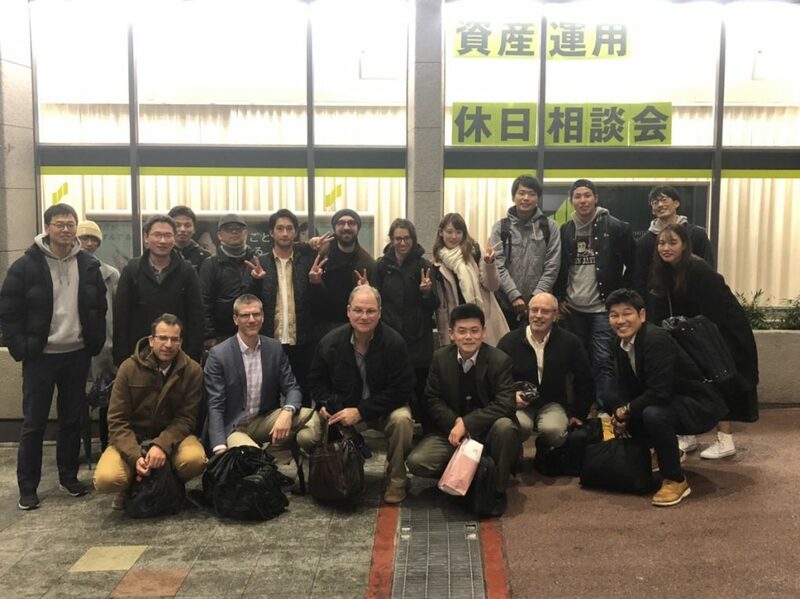 8 members of our laboratory presented at the 2018 Kinki branch research conference of the Architecture Institute of Japan (AIJ). Ms. Hamashima graduated from our laboratory in 2017 received the 2018 outstanding master thesis award from the alumni association of the Department of Architecture and Architectural Engineering at Kyoto University. 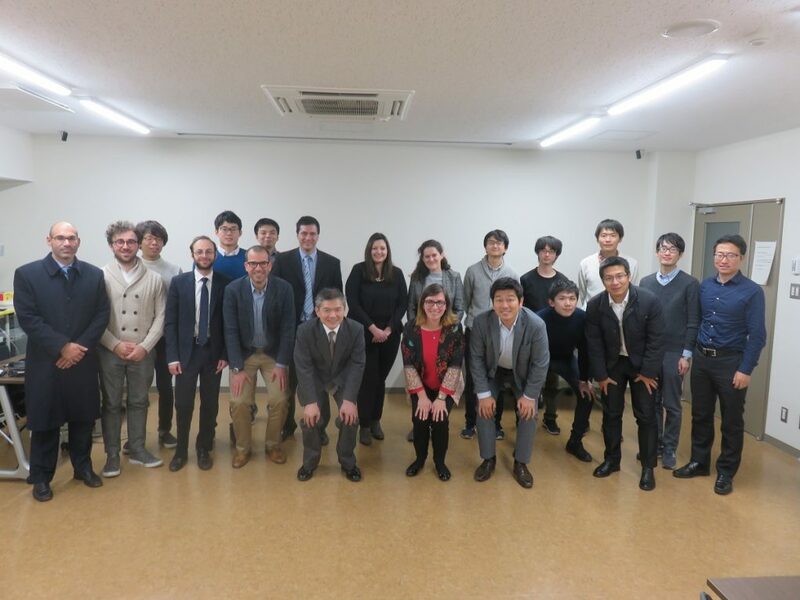 We held a welcome party for new members, Mr.Hamauzu, Ms.Onishi, Mr.Kunitomo, and Ms.Touki. We held a farewell party for Mr. Inada, Mr. Otsuki, Mr.Takeda, Mr. Shimada, and Ms. Hitomia. Congratulations on their graduation. 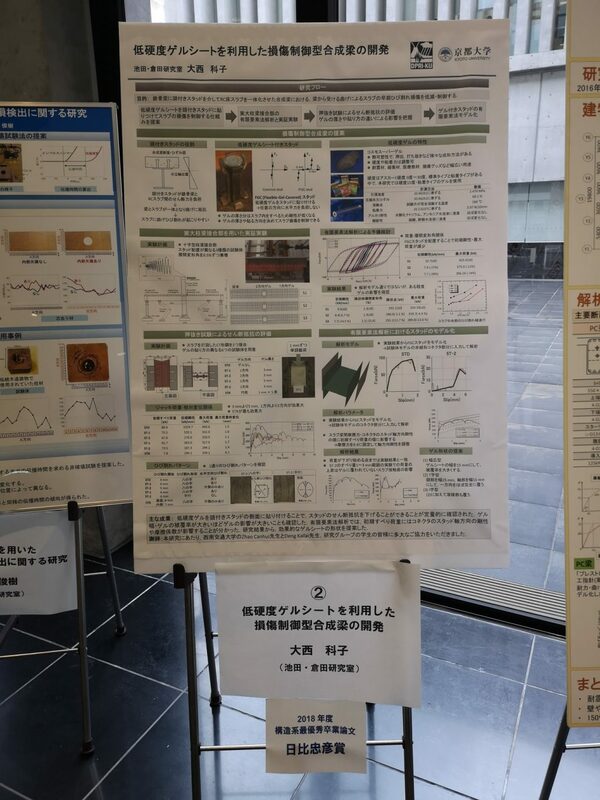 Mr. Ichikawa and Mr. Inada successfully finished the poster session for their bachelor thesis. 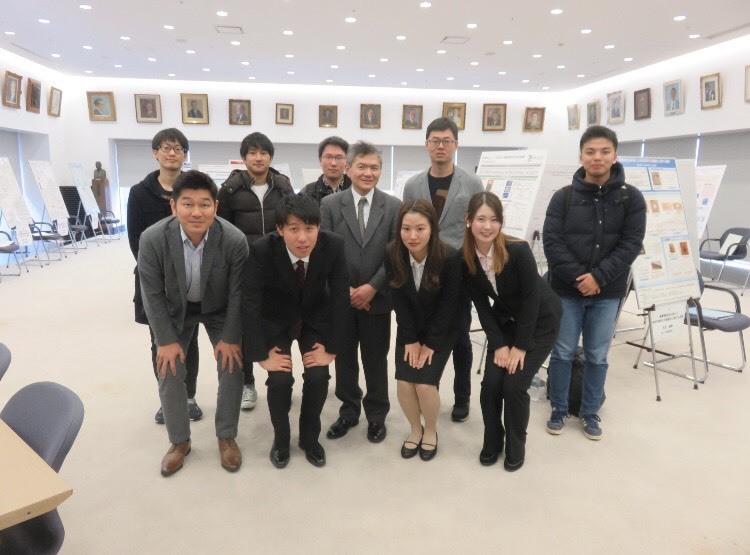 Mr. Otsuki, Mr. Shimada, Mr. Takeda, and Ms. Hitomi successfully finished their master defense. 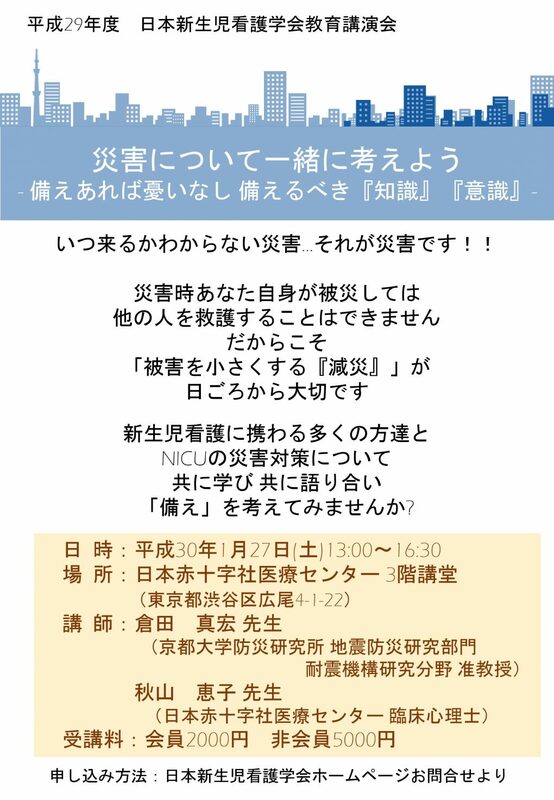 Prof. Kurata provided a lecture on Seismic Resiliency of Medical Facility and Medical Equipment in Nursery Intensive Care Unit in the 2017 educational workshop of Japan Academy of Neonatal Nursing. Ms. Hitomi Mayu in the master program helped the preparation of the lecture slides. A paper on long-term wireless monitoring of suspended bridges co-authored by Prof. Masahiro Kurata has been featured in the web site (Smart Brief) of the American Society of Civil Engineers (ASCE). http://www2.smartbrief.com/servlet/encodeServlet?issueid=FFB9CE47-74ED-427F-9B37-F3CAEBAAD33B&sid=405a1b13-2685-4afc-a9b0-9fb00b4b6502 Zhang, Y., Kurata, M., Lynch, J.P. “Long-Term Modal Analysis of Wireless Structural Monitoring Data from a Suspension Bridge under Varying Environmental and Operational Conditions: System Design and Automated Modal Analysis,” Journal of Engineering Mechanics, 143(4), 10.1061/(ASCE)EM.1943-7889.0001198, 04016124, 2017.4. 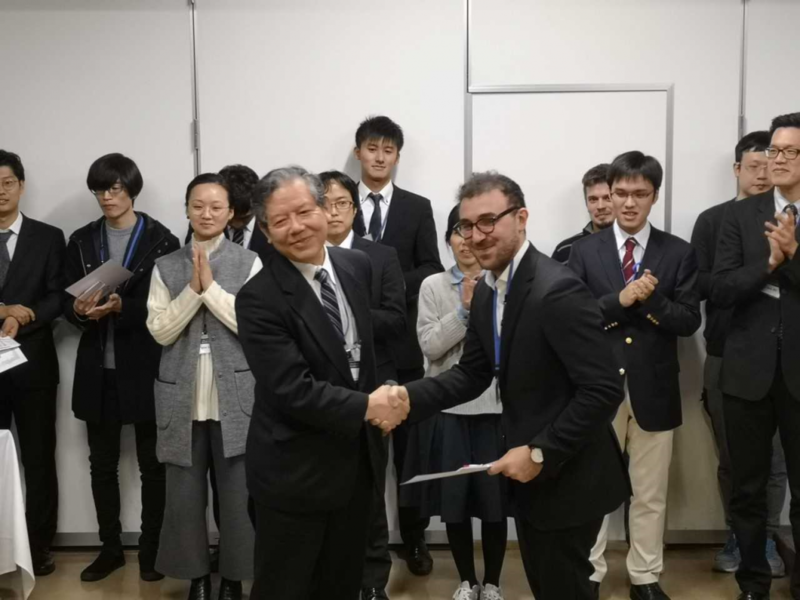 ”Japan-Greece International Workshop for Young Researchers on Advanced Materials and Technologies for Applications to Steel and Composite Steel / Concrete Structures“ was held at DPRI on December 7 and 8, 2017.